Regions 7 and 8 of the Texas Department of State Health Services provide services within the Jurisdiction of the CSCD. Case management for clients who need assistance in accessing supportive services. Who is Eligible for OSAR Services? All Texas residents who are seeking substance abuse services and information may qualify. You may call the Statewide Hotline at Information at 211, or (877) 541-7905 24-hours a day, 7 days per week, for information regarding access to services. What to Expect During the OSAR Intake Process? Once an appointment is scheduled you will come in and meet with a counselor who will complete a drug and alcohol assessment. The appointment can last 30 minutes to two hours depending on your individual need. The decision to select a residential sentencing option is based on the assessed risk and needs of the offender. A variety of local and state residential facilities can be used to address an offender’s criminogenic risk and needs. When an offender needs treatment for a substance use disorder, this Department utilizes funds provided by the Texas Department of Criminal Justice – Community Justice Assistance Division to place offenders in specific treatment centers. Placement is limited to available funds. The term Community Corrections Facility (CCF) describes a residential facility operated by a Community Supervision and Corrections Department. CCFs provide a secure environment and treatment targeting specific types of offenders. These are not secure facilities; failure to report as instructed or Unauthorized Absence from a court residential treatment center is a state jail felony offense. Below are descriptions of CCFs. CRTCs provide offenders with substance abuse treatment and educational, vocational, and life skills training. Many CRTCs include employment during the final phase of the program. Some facilities also provide treatment and services for offenders with mental deficiencies or emotional/family problems. SATFs are designed specifically to provide cognitive-based substance abuse treatment. SATFs may also include educational, life skills, and supportive Mutual Support Group orientation or modified therapeutic community treatment programs. CSCD-operated ISFs are used as intermediate sanctions for supervision violators in an effort to give the courts an incapacitation custody option other than revocation or incarceration. Programming provided in ISFs usually includes a substance abuse component, education, and cognitive and life skills programs; some CSCD-operated ISFs have an employment component. These programs should not be confused with the state-contracted ISFs. DDRFs provide the courts with a sentencing alternative for offenders with demonstrated/documented mental health issues. Most of these programs address offenders with co-occurring disorders of mental health and substance abuse. Programming in the DDRF includes a broad range of mental health, substance abuse, and life skills services for offenders with mental impairments in a residential setting. State-contracted ISFs (SC-ISFs) are secure lockdown facilities that completely remove the offender from the community and provide either substance abuse treatment or cognitive treatment to medium- or high-risk felony offenders. 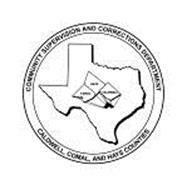 The Texas Department of Criminal Justice (TDCJ) operates these facilities as an alternative to incarceration for medium and high-risk felony probationers in violation of the conditions of supervision, sanctioned at sentencing based on the nature of the offense or criminal history. These SC-ISF beds are available statewide to all CSCDs. The contractors operating the SC-ISF provide transportation service to and from the SC-ISF. This Department employs specialized supervision offices who coordinate placement in the SAFPF continuum. Information about meetings may be found posted in area newspapers in the classifieds, listed in area phone books, and online. Below are a few links to search for area meetings. Meetings times change from time to time to meet the needs of the group and its members. Please call a local meeting group or check online when searching for a meeting.